At the invitationof the civic association Agora Bracarense, Talent Search People held a workshop last Thursday, in Portugal about the topic "How to find employment in the countries of the European Union?". 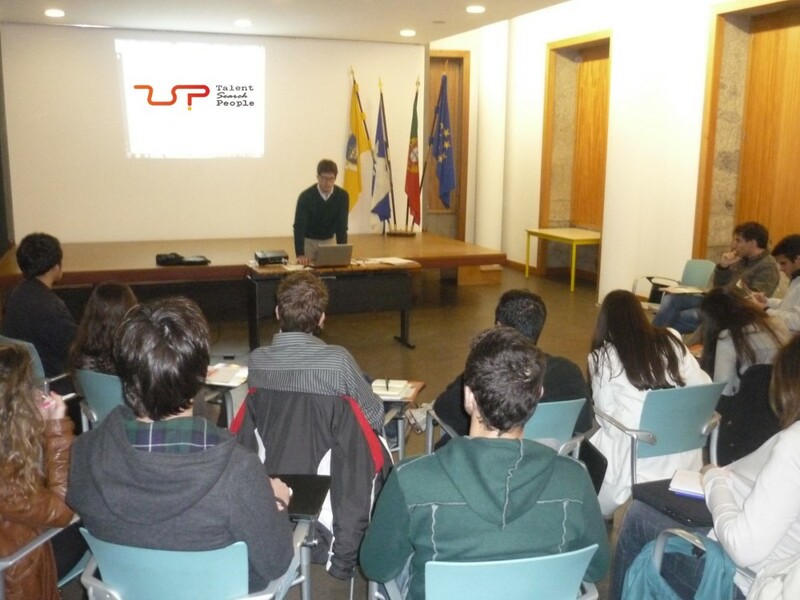 This workshop, aimed at young professionals, took place in the city of Braga that just this year 2012, which is the European Youth Capital. Representing Talent Search People, was there Tiago Santos, Operations Manager, who led the workshop and exposed all the necessary information to carry out the training day. During theworkshop, several job search strategies were proposed to the youth participants and tips for finding work outside their borders were shared. The receptivity of the workshop was very good by the attendants who were always very interested, exposing their doubts and questions to the speaker. Talent Search People, through its business Talent Search People | Europe, currently manages projects in 15 different countries, some of them in Portugal, where we are looking for young and talented professionals. In fact, after the training day, some of the young participants found on our website interesting opportunities for their career.